"Peace of mind, Invisible security!" I love that fact that Sophos Safeguard Encryption is applied to the entire hard drive and not just to a specific file or folder. I have to physically enter a password to just start the boot process. I live with the peace that if my laptop is stolen, all of my data is encapsulated with the vault that is Sophos Safeguard Encryption. Whilst in operation, you don't even know that the software is there and protecting you in the background. When I first started using Sophos Safeguard Encryption, I had a normal hard drive. The boot up time of the computer was incredibly slow, and functions within the operating system were also much slower than compared with a non-encrypted drive/pc. I upgraded to a solid-state drive, and away went all the speed problems. Other than the speed, the only other thing I dislike is the logon interface which pops-up before the PC starts to boot, I feel this could be a lot nicer, and not as plain as it is presented (but this is obviously limited by graphic performance in the boot sequence). If you do decide to go with Sophos Safeguard Encryption, having hardware that uses a solid-state drive is really a big plus, then you will never notice any performance downgrade. The business problems that are solved by utilising Sophos Safeguard Encryption are very obvious; your data is full protected, and the failure is single point if it ever does get out (being based on a username and password). Stolen hardware is no longer a concern, as the thief will be unable to access the computer, nevermind the data. "great app, peace of mind security "
The interface is super easy to navigate and it is applied to the whole hard drive rather than just a specific file. It is good to know that if my computer is every hacked, it will be difficult for the hackers to access my data. This is especially important in my work place as there is a lot of sensitive information that should not be leaked out to the public. When I first installed it, my computer took a while to boot up and the functions within the system were a lot slower than others. 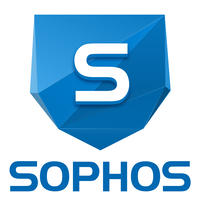 Sophos SafeGuard provides an easy way to protect my data, with the ease that if someone ever steals it, they will be unable to have access to my hard drive. "Best Windows Encryption Product Hands Down"
The interface is easy to use and knowing the laptops in the field are protected lets me sleep at night. The version we are using is not cloud based, so we have to host it ourselves. There is a cloud version using Sophos Central, but we have not yet moved to it. Go with the Sophos Central. It has self service for users so you don't get that call at 2:00 am. Since Windows 7 Professional Computers don't include bitlocker. this is the product to use. The centralized management was also important for remote users. "a form easy to protect information"
Easy to use tool, a layer more protection to have confidential documents in the cloud, protected documents, makes interesting the tool to be able to see the documents of special protection in any device. In virtualized environments only allows VMware, not other virtualization solutions. Yes, versatile product, secure documents in the cloud, this makes it possible to access documents from either side and is properly protected. "Great for increasing LAN drive security"
Allows you to benefit from the ease and speed of LAN drives while increasing the security of the data by requiring PKI identification when you first log-on your computer. Not always clear when you are not logged in to view files. You get a general error message saying a file doesn't exist rather than prompting you to log-in. Safeguard gives us the peace of mind knowing our laptops and mobile Windows devices are encrypted. Easy key management from the console provides relief when a user has had a mishap with logging into their device or lost the encryption password. Ability to track status of devices with encryption is a plus. User interface could stand to be modernized. Uses older Microsoft style of panes. By using Safeguard, it make being HIPAA compliant with encryption easy. "Very good for data protection by implementing encryption"
Pprovides complete data protection across multiple platforms and devices. This allows you to ensure that your data is protected no matter where your employees access it. Sophos SafeGuard Disk Encryption for Mac to manage a FileVault implementation will necessarily be limited to 128-bit encryption.This is not be acceptable in higher-security environments. "While the software worked well, support was non existent." The software is easy to install and the interface itself is simple. While I like this software, there is a lack of support provided. Be sure to install it with your web developer as some things can be tricky. We maintain large data stores and it works for us to manage that safety. The program is very robust and does a great job. Once installed, it runs in the background with minimal interference. Installation can come across problems. We had discovered a problem installing it on our OSX platform with no good solution. Even after contacting support they had told us they were only "sales" and could not help. Do a bit of studying before installing the software including any risks involving installation and uninstallation as these seem to be the main avenues of problems. "Sophos SafeGuard Encryption is a great tool for IT professionals"
I don't dislike anything about this software - it does it's job and does it well. Our auditors required all mobile devices be encrypted. How complicated it can be to use overall and how there are some syncing issues. Be prepared to put some work in, once it works, it works, but there is a lot of prepping and sometimes domain account syncing is wonky. The ability to decrypt clients using the master encryption key. The time it takes to activate the encryption process. So with Sophos as a partner we manage to use Sophos to encrypt certain emails. The problems its has solved is helping send Emails safely and has benefited with getting out emails faster and safer. Our IT Security will get approval from the sender's manager and then IT Security releases the email. It has nice full disk and file encryption utility. It is easy to use and quite intuitive. The key management seems safe but I cannot be very sure of that. The key management and the algorithms are not clear and the process could be optimized for faster encryption as well. Just files and disk encryprion. "Sophos SafeGuard Encryption - Super Security"
I like that Sophos is keeping you posted throughout the day letting you know that you are being protected and have the latest updates. Keeping payroll information at bay, with high security encryption, protecting vital data and complying with rules and regulations. "Plug and play - no hassle"
The software does what it needs to do without any interaction from me. It just works without any hassle. You install the software once, and forget it is running in the background. "Definitely better than BitLocker "
Does what it is supposed to do - safeguard and encrypt. Has a three-click policy option. Might be a little overzealous as times - could use some other encryption algorithms for different use cases. Migrate from BitLocker after a security breach. "Sophos SafeGuard Encryption with Mac"
Easy to set up. Works as a management system to Apple's Filevault 2. I've seen some syncing issues with mac and Sophos Safeguard. Doesn't happen a lot. Security management for mobile systems. With safeguard, centralized management is helpful. "Love the safety and security"
I have been using Sophos for my business for a while and love the consistency. My data is more secure than ever. It's kind of expensive for a small business owner. My data is much more secure. I like how easy it is to see all of the things Sophos says is a danger. It takes so so long to complete the scanning process. * We monitor all Sophos SafeGuard Encryption reviews to prevent fraudulent reviews and keep review quality high. We do not post reviews by company employees or direct competitors. Validated reviews require the user to submit a screenshot of the product containing their user ID, in order to verify a user is an actual user of the product.